With so much to say and no time to say it – everything was at the tip of my tongue but writer’s block and life inevitably got in the way. Anyhow, today’s blog will be different from my regular beauty content. During the last few months, I’ve spent a lot of money but I wanted to be able to go on a trip again. One of the things I’ve learned is that I don’t know the first about budgeting, so as a result, I had little to no cushioning in my bank account for trips, or rainy days. Thanks to my education, I know that Mitochondria is the powerhouse of the cell but I didn’t know the first thing about saving and investing. So I sought out advice from family, friends and my best friend, the internet. To be honest, I still wouldn’t call myself a financial expert but I’ve discovered 5 approaches that have helped me do better and ultimately helped me book my trip to Portugal! This might sound fairly self-explanatory but sometimes writing it down in a notebook doesn’t show you the whole picture – especially when you’re someone who is a visual learner. 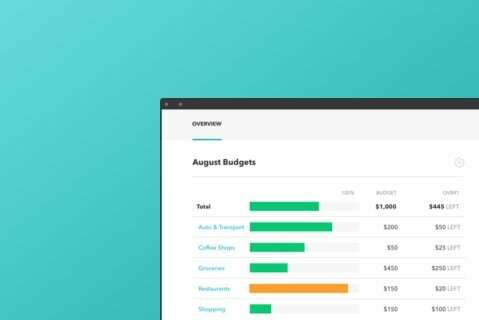 My coworker Alanda tipped me off about Mint, a budgeting app that shows you insight about your spending by category (#notsponsored). You connect your account, add your bills and it gives you a breakdown that is visual. It also gives you a summary at the end of every week, so you can see where money is going and adjust as fit. Coffee and a treat is always a weakness, especially when you skip out on breakfast at home! If you’re like me (sleep deprived) coffee is essential. The coffee culture in Toronto is seriously strong. Around every corner is a cute coffee shop that will cost you an arm and a leg – BUT THE COFFEE IS SO.DARN.GOOD. So, I’m not saying quit coffee (trust me, coffee withdrawal is BRUTAL) but maybe the alternatives ain’t so bad. Personally, I’ve made the most of the office coffee machine and even brewing my own cup of Joe at home, instead of buying coffee every day. As well as taking advantage of McDonald’s $1 coffee while it lasted. It’s made a difference because as my Mint insights have indicated, it adds up! Now, I can get more wine when in Portugal! Wearing my mom’s houndstooth blazer with a dress I borrowed from a friend. If you haven’t had the cleaning fairy bless your life, you have been missing out. My account has been taking a breather in the fashion department and I give credit to the KonMari method. Essentially, what I gathered from “Tidying Up” with Marie Kondo on Netflix, is that you can declutter your closet by putting all your things in one pile and examining each piece to see which ones bring you joy. Then you pack everything using the KonMari folding method/donate items that don’t spark joy. The result for me was rediscovering forgotten, as well as vintage pieces from my mother’s closet that I could use for my wardrobe. I’ve also been able to organize my wardrobe so I have my most versatile basic pieces up front. I’ve really saved money by getting the most of my current wardrobe. Being a beauty lover is not only expensive but it can also be messy. Even if you have the proper storage means, buying and collecting all the glam products can quickly become clutter. This personally happens in my case. I have so many products and I am so enticed by every product launch that catches my eye, so typically I would grab it and add it to the pile. The problem is similar to my clothing situation, where several older items get forgotten. So I’ve made the vow to not buy any makeup products unless they are necessary. I haven’t purchased anything from Sephora in the last two months and that has been so tough as a beauty addict, but I’m determined to use what I own. I habitually don’t do full glam when going off to work, so the most I am wearing is foundation, concealer, mascara, bronzer, blush, and highlight. Again, by using and organizing what I already own, I have uncovered items that were left behind. They now have a second chance and I have a little more pocket change. Now about the funds to spend on the upcoming trip…. Let me know down in the comments how you save money. Tags: advice, beauty, budgeting, finance, konmari, lifestyle, marie kondo, saving, spark joy, Toronto, vacation planning. Bookmark the permalink.